Clarissa Smith grew up along the Quebec/ Labrador coast in the 1950's and 1960's. 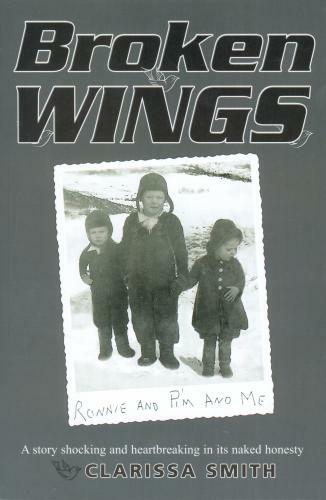 Broken Wings is her true story of life in a harsh and unforgiving land with its own wild beauty. Her story takes you along the often - thorny path of family relationships. It's a story about love, hate and abandonment, but overall it's about the fragility of life. Broken Wings is Clarissa's telling of a promise to her dying mother that she couldn't keep. Her story is one that you will never forget. It's both shocking and heartbreaking in its naked honesty.